So much yarn, so little time. 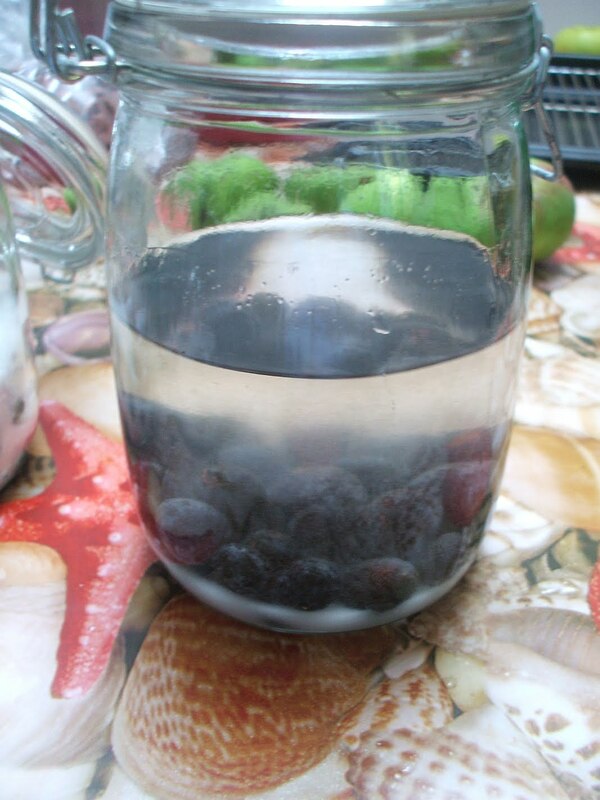 : Sloe gin, anyone? I bought Mr Nifty a book about Wild food for Christmas, but as is usually the way when I buy early, we've already started using it! The book not only helps with identification, but also tells you what to do with your bounty once you've collected it. 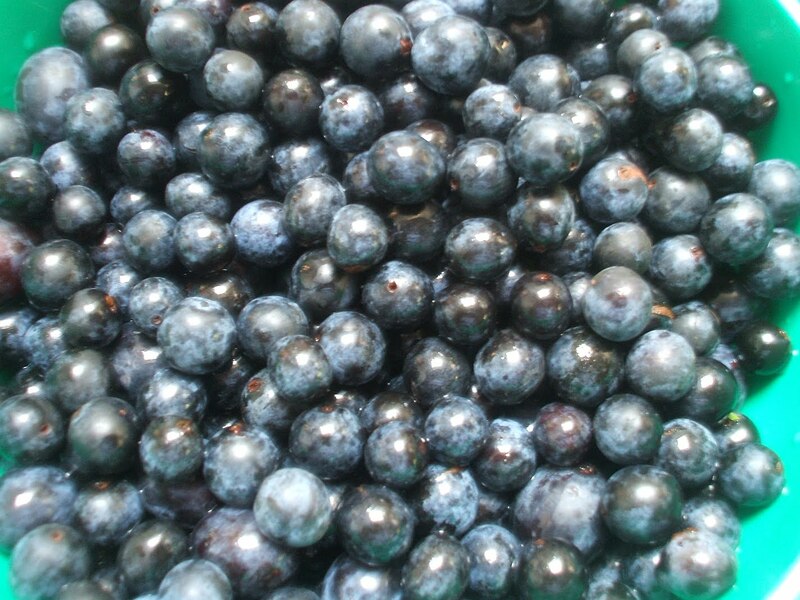 We couldn't decide when to stop foraging though, so we picked way more sloes than we needed. Hopefully the garden birds will polish off the remainder. You'll notice some sloes are much bigger than others (in fact, at first we thought we'd found a plum tree) Apparently though, older trees produce bigger sloes, and allegedly it makes no difference to the final product. We found the bigger ones much easier to work with though, so we'll be more selective next year. First task is to wash them, and then to prick the skins. You can also do this by putting them in the freezer overnight, apparently. 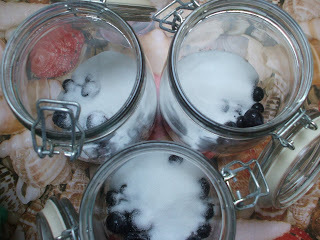 Recipes vary - we followed the book, and used 400 gm sloes, 250 gm caster sugar and 1.5 litre gin. I was very pleased to read that using better quality gin makes no difference, so we bought the cheapest "own brand" we could find! 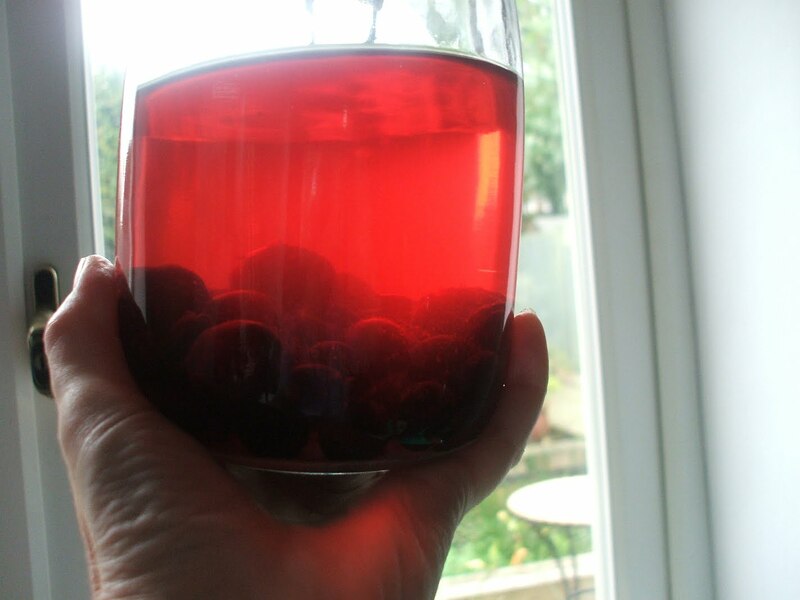 After just one day, the gin is a beautiful colour. The book says leave it for at least 3 months, other sources say much longer. Either way, we'll be trying it at Christmas! Yum! What is the book you got Mr N? Could be a great Christmas gift for the man! We've got damson gin on the go and I really want it to be ready! well - small tree, big bush - whatever! 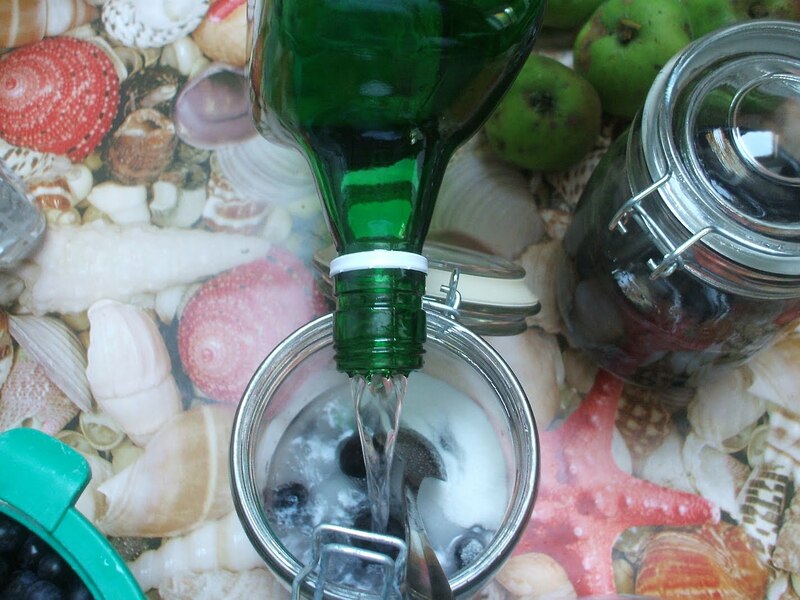 The book is Easy Wild Food Guide, by Neil Fletcher. Yum! I'm coming to visit for Christmas! Reminds me of drinks my dad's family from Holland makes - Buddemeishas and Buddeyongen (that's not the correct spelling, I just drink them!). One with apricots, the other with raisins in brandy and sugar, then let it sit for months. Looks yummy Heather! What a beautiful color too. Yummy! I love sloe gin. We made it by the gallon a few years ago and put some of the bottles on the PTA bottle tombola. I often wonder how much of a shock the hangover came as to the lucky winners! I'll have a Ramos gin fizz please.